Doom supergroup Towards Atlantis Lights produce an intelligent, mature and superbly-crafted debut release. OK, I'll perhaps be honest about this, right from the off: I don't really have a clear idea of who it's aimed at. 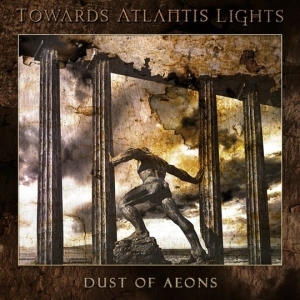 Towards Atlantis Lights are a bone fide Doom supergroup, featuring Ivan from Void Of Silence on guitars, Kostas from Pantheist (amongst many others) on keyboards and vocals, and Ricc from Aphonic Threnody, et al, taking bass rather than his more usual guitarist role. 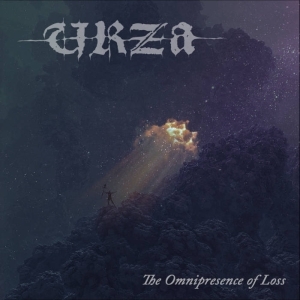 They're firmly anchored in melancholy and melodic Death/Doom, ranging from the brief (four-minute) closing track to the epic half-hour opener. 'Dust Of Aeons' itself sits conceptually as a historical revisitation, loosely associated more with some of the Seven Wonders of the World rather than any obvious tie-in to Atlantean myths, though I'm not sure that there's an actual underlying narrative so much as a brief succession of related vignettes. It also comes in a very nice package, should you have purchased the limited box set, with all sorts of extra goodies included. Though I must admit I am, as yet, undecided about whether a fridge magnet is Doom or not. Well, it can at least be attached to more sinister metalware than household white goods, should you wish, so perhaps it can be. Patch, poster, numbered certificate, stickers and digipack - those are more familiar staples, and very nicely done too: it certainly feels like a good value-for-money and very full box! Apparently, the project was originally a solo one, founded by Ivan Zara, who is credited with composing all the music. 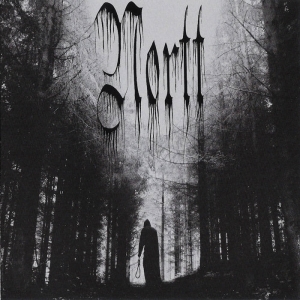 And, indeed, you may find a certain amount of similarity, in both theme and composition, to Void Of Silence's 2010 'The Grave Of Civilization' - as well as, more obviously, in the restless guitarwork, ranging from clean and exploratory melody lines to the most brutally angular of riffs. The two soaring, lengthy compositions unfold with a majestic and stately precision ('Alexandria's Library' touching on, and returning to a funereal 'Marche Funebre' theme as it does so, 'The Bunker Of Life' taking a more turbulent movement-based progression), their shorter counterparts fitting near as much variety into much briefer segments. Familiar territory for anyone who's been following the Italian band's last couple of works. A little unexpectedly, Kostas Panagiotou's lyrics also fit surprisingly well into that same VOS arc: perhaps not quite as fiercely misanthropic as 'The Grave Of Civilization', but not proferring a great deal of hope for humanity either. The underlying message seems to fit with Ecclesiastes summing-up of the pointlessness of existence as 'vanity of vanities': nowhere is that more eloquently put than the sneering epitaph of 'Greeting Mausolus' Tomb' (though I believe that, historically, the site which subsequently gave us the word mausoleum actually only contained sacrificed animals rather than humans to accompany Mausolus and his queen. No matter, it's an effective image, and hardly an unknown practice of contemporary times). If there is a faint glimmer of light, it's the suggestion that it may not be altogether too late to rediscover an older, wiser - perhaps Atlantean - inner spirit. Of course, there's plenty more going on than the guitar and vocal narratives - the latter presented most pleasingly and frequently as mournful, slightly idiosyncratic cleans, but also dipping into growls and spoken-word for contrast and force. There are sweeping and continuous contributions from the keyboards, bass and Ivano Oliveri's drums; however, guitar-led composition aside, it's more about the sum total of their impact than bringing any particular instrument to the fore. As you'd expect, that's done with a slick professionalism and a vast reserve of experience, bringing the soundscape to a complete and vibrant life. 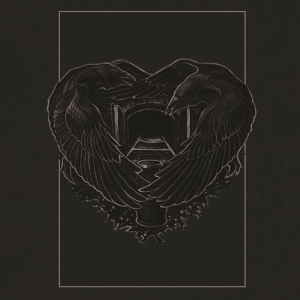 It would be hard to single out much more than out, and pretty pointless to try and list comparisons - Towards Atlantis Lights inevitably contains elements which reflect the various Funeral/Death/Doom bands its members have been associated with, and it's near-impossible to consider that any serious fan of the genre wouldn't be familiar with most of them already. Where I'm not entirely clear, and returning to the introductory point, is whether that actually is the intended audience. Though there are some ferocious moments along the way, this is far from inaccessible, frequently lush and atmospheric in approach, and seemingly of a much broader appeal than simply pleasing stalwart underground followers. It may be that those will get the most out of the more dissonant, challenging segments, and I'm not suggesting you sit your gran down in front of the speakers and expect her to enjoy it. But I will say it's definitely a bit of a left-field classicist concept wrapped in a very approachable and dramatic musical envelope that will likely be on almost no-one's must-have list for the subject matter (cf. the esoteric likes of Rostau and Ancient Lament), yet pull in a wider than expected selection of listeners on its presentation (cf. Clouds, though not as ubiquitously appealing). So, in that respect, maybe a fridge magnet isn't a bad inclusion, or analogy - it's a well-made piece of decoration, and whether you stick it to the front of your Killdozer or on the side of the microwave is entirely your choice of context. Either way, I'm going to recommend this as an intelligent, mature and superbly-crafted release worthy of your further investigation. Visit the Towards Atlantis Lights bandpage.